Maybe the reason services are bad is because of how they are created? For every effect, there has to be a cause. When a product is bad, you can reverse engineer and find out where it went wrong. But when a service doesn’t turn out right, the organisation shrugs its collective shoulders and proceeds as if nothing has happened, while writing of a 100 million $something investment, convinced that when they do the next iteration, the same way, it will work flawlessly. There is ridiculous amounts of research to suggest, that the way services are created, is flawed. Now, you might ask, what is this thing that creates services? Well, it’s called office work. Which is where most of the work gets done these days, as society moves from making products to delivering services. For the facts, we turn to Atlassian*. According to their research, people receive 304 business emails per week and check their email 34 times in an hour, which means that 16 minutes are spent refocusing after handling incoming mail. The annual productivity cost of this, per person is $1250 for spam, $1800 for unnecessary emails and up to $4100 for poorly written communications. Meetings make for a big part of our day. On average, people have 62 meetings per month, of which 1/2 are considered a waste of time. Which means that 31 hours are spent in unproductive meetings each month. – while only 47% dared to complain that the meeting was wasting time. For the US, this means a whooping $37 billion salary cost wasted on unnecessary meetings annually. In a survey reported in Industry Week, 2000 managers claimed that at least 30% of meetings were waste of time. A 3M Meeting Network survey put the figure between 25-50%. And in a survey by Office Team, 45% of senior executives said their staff would be more productive if they simply banned meetings for at least one day a week. What about interruptions in the open office? On average, there are 56 interruptions a day for every person. This means that you only get an average of 3 minutes to work on one thing, before switching tasks. This of course means, that there are 2 hours spent recovering from distractions every day. And worst of all, 80% of interruptions are considered trivial. All the above, is just for starters. Western society as a whole has moved to favouring personality over character. This shift is combined with a move to the open-office landscape. Along with this, collaboration and working together with others, being vocal and social has become the default model of the modern worker and example of desired behaviour. Never mind that 1/3 to 1/2 of the population is more or less introverted, and finds the whole situation unbearable. 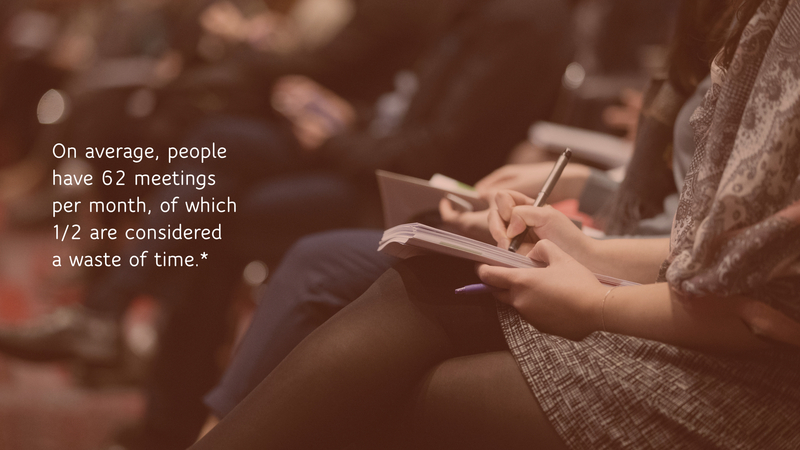 In an excellent TED talk, Susan Cain outlines the challenges faced by introverts and memorably calls for the “stop of the madness for constant group work.” She cites established psychological studies, which prove that people in groups mimic each other instinctively. This kind of over-collaboration leads to common ideas, while the culture of personality also favours the wo/man of action over introspection. This creates the need to constantly prove yourself in front of a crowd of strangers, while getting things done quickly, which by default leads to mediocre, not thought through services. Making services in this context, without an established method of bringing in the end user of the service into the conversation, has predictable results. Services are systems of process of conduct in a company, and often subjectively interpreted. What is important and what isn’t depends on the people involved. More importantly, the construction and deconstruction of a test of the service will never yield results, as long as it is tied to committee behaviour, where the most forceful arguments often become the the dominating understanding of what happened, or should happen. In the end, of course, the verdict on the service’s quality comes from the other party in the transaction, namely the customer, who may have a completely different opinion but in most cases was not involved in the development process. In some ways, the problem is that there is no craftsmanship involved in office work. If you are a carpenter making chairs, you’ve gone through apprenticeship and lots of trial and error, until you are making chairs that people want to pay for. And each step in the process requires care. However, creating a power point for a meeting is something that is delegated or just thrown together, with 39% of meeting attendees falling asleep as a result. Craftsmanship in an office environment should include good writing skills. Being able to make a point in as few words as possible greatly reduces the potential for misunderstanding. However, writing short takes time while writing long-winded takes no time at all. Just throw it all in there and hope that it makes sense to someone. In fact, in most aspects of office production, which tend to be documents of one or another kind, the information is poorly presented. This puts the onus on the reader to decipher what the writer meant. This transfers the time cost of writing to reading, which essentially just kicks the can down the road. Done throughout the whole chain from idea to execution of a service, the verdict will be handed down by the customer, who cannot, will not, does not want to use whatever it was that was created. However, in the organisation, everyone did everything following protocol, documented and correct. The fact that it was done poorly, is not addressed. The way work is done in offices, with responsibility diluted by collaboration, requires a change. The open-plan office, where the only way to get some privacy for introspection is to wear headphones, is detrimental to getting good results. As Fast Company said, the “open office presumes that your time is everyone else’s.” But in reality, most of the time work is done alone. Collaboration becomes a bridge of distraction between islands concentration. This does not mean, that working in teams is bad. However, collaboration in the office is not team work. A team is two or more people that work together and perceive themselves as a clearly defined social unit, that have a clear and common task, where they are dependent on each other to complete the task and who together periodically review their own performance and cooperation. Clearly an open-office full of people asking each other irrelevant advice is not the same thing as a team. The end result of this is, that what started out as a good idea turns into a mediocre service, which customers use not because it delights them, but because there may be no immediate alternative. What we need to do, is to re-introduce the idea of craftsmanship to the creation of services. This means, to take pride in, and put time and effort into, the creation of the artefacts of office work. Documents that convey concise thoughts. Presentations that are interesting, engaging and aesthetic. How you do things matters as much as what you do, and will affect the quality of anything down the line. Improve one link in the chain, and you will improve the whole. Improve every link, and become outstanding.